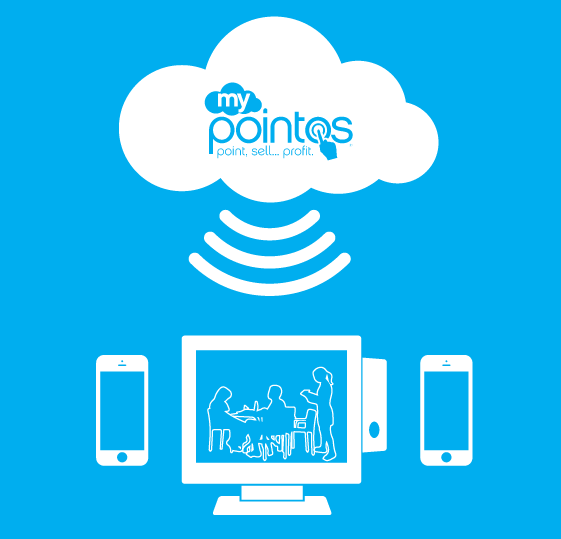 Connect to myPointOS, the customer portal and cloud service for PointOS Point of Sale, and access support and upgrade services for PointOS. Plus, enable new features for PointOS like real-time web dashboards, online reporting and cloud-based data backups. And... connect mobile devices like Windows Tablets to your PointOS Point of Sale system and let your staff take customer orders on the go! All evaluation customers receive FREE Support & Updates + Cloud, so why not sign up now? Get support by phone or email, and unlimited PointOS Point of Sale software updates to keep up on features and improvements. Get a real-time snapshot of your restaurant or bar, including open tab count, current sales figures, best selling items and more. Available on the web. Run more than 40 of the most popular sales and manager reports in PointOS Point of Sale on your web browser, including daily and weekly sales, employee, closing, discounts and more. Protect your business against catastrophic data loss with daily or hourly backups of your PointOS Point of Sale database, and recover your PointOS Point of Sale system even if your hardware is damaged, destroyed or stolen. Manage your PointOS Point of Sale system remotely and change selected settings and update selected data fields directly over the web. ^All support services subject to conditions and limitations in our EULA. *These features require installation of myPointOS Connect on your Main PointOS Database machine with a minimum of 1Ghz Processor and 2GB RAM. A separate back office system with 2Ghz Processor and 4GB RAM is recommended. By registering, you agree to accept the Terms of Service.